Buddy Catlett was a great jazz bassist, but he also played many other instruments. He was born George James Catlett on May 13th, 1933 (or maybe 1943, some sources differ) in Long Beach, California, but was raised in Seattle. There were some musicians in his family (his brother and his cousin). Buddy started studying clarinet and sax, but he then changed for contrabass after an illness (tubeculous pleurisy). Some time later, most of the members joined Bumps Blackwell in his Bumps Blackwell Junior Band. His first professional work was around 1950 with Bumps Blackwell Orchestra, playing sax, but due to an illness (pleurisy), he switched to bass. While he was in the orchestra, his mate Quincy Jones was a member too. ROBERT BUMPS BLACKWELL ORCHESTRA #? In 1956, Buddy joined Horace Henderson touring with him for over a year. He then joined Johnny Smith. During 1958 and 1959, Buddy was part of the house band at Melody´s Lounge club in Denver. Then, in 1959, he joined Cal Tjader Group. 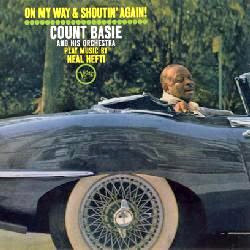 After moving to New York, he rejoined Quincy Jones playing with his fabulous Quincy Jones Orchestra. The arrangements were usually done by Quincy Jones, Al Cohn, Nat Pierce and Ernie Wilkins. The arrangements were usually done by Quincy Jones, Billy Byers, Al Cohn, Melba Liston, Ernie Wilkins and Phil Woods. Pepper Adams, Patti Austin, Benny Bailey, John Bello, Michael Boddicker, Patti Bown, Oscar Brashear, Ollie E Brown, Vivian Cherry, Pete Christlieb, Jimmy Cleveland, Paul Cohen, Johnny Coles, Art Davis, Eric Dixon, Nathan East, Rolf Ericson, Paul Faulise, Curtis Fuller, Gary Grant, Mickey Gravine, Don Grusin, Roger Guerin, Joe Harris, Jerry Hey,... up to 71 musicians. 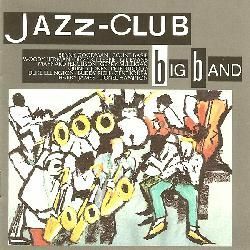 Next bands for Buddy Catlett were the Chico Hamilton Group and the joint band by Eddie ´Lockjaw´ Davis and Johnny Griffin, but don´t know details about lineups. 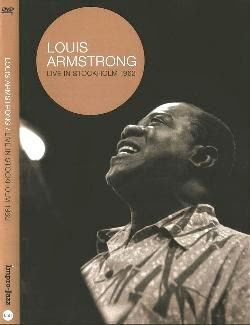 A live album was released, Live at Small´s Paradise (later reissued with different titles and track listings). Around this time, Buddy joined the mythical Count Basie Orchestra since 1961, appearing in several albums, as we can read in the discography below. 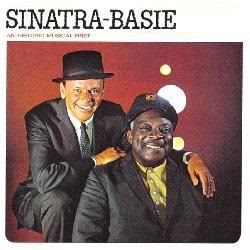 He stayed with Basie during four more years. In early 1965, Buddy joined Coleman Hawkins Group for some months, then joining Louis Armstrong. 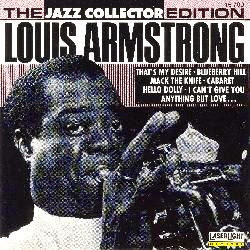 Buddy Catlett remained with Louis Armstrong from 1965 to 1969. They can be found as a bonus program for the live DVD Live in Stockholm 1962 (the DVD features a concert from May 1962, plus a bonus TV performance from July 1965). After that, he relocated in Seattle and gave up on tours, but still played locally. In the 90s, Buddy played in a band called Local 493 Reunion Band, with his old mate Floyd Standifer. Buddy Catlett passed away on November 12th, 2014 in Seattle, Washington. He was 81. Comments: 2LP with a live concert from June 1965. Comments: 4LP live album, featuring one concert from October 1957 and another one from 1965. Comments: Live tracks recorded in September 1948, November 1948 and July 1967. Comments: Live DVD featuring two concerts: one from May 1962 and another one from July 1965, thus featuring two different lineups (Buddy Catlett appears in the tracks from 1965). Comments: Compilation featuring tracks from 1955, 1956 and 1966. 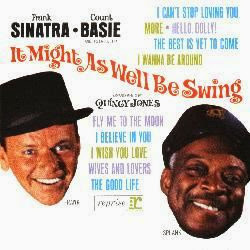 Comments: It includes live performances with different lineups, recorded in: February 1947, November 1948, January 1950 and July 1967 (with Buddy Catlett). Comments: Recorded in October 1962. 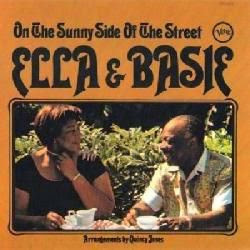 Comments: Recorded in July 1963, with Ella backed by the Count Basie Orchestra arranged by Quincy Jones. Some CD reissue contains 6 bonus tracks. Comments: Recorded in April 1963. Comments: Recorded in November 1962. Comments: EP with 4 songs, recorded in November 1962. Comments: Recorded in February 1964. Comments: Recorded in two different sessions in April 1963 and January 1965. CD reissue contains 3 bonus tracks. Comments: Compilation with tracks recorded in 1963, 1969 and 1970. Albert Aarons, Pepper Adams, Harold Ashby, Clarence Banks, William ´Scotty´ Barnhart, Count Basie, Emmett Berry, Lin Biviano, Richard Boone, Manny Boyd, Carmen Bradford, Oscar Brashear, Ray Brown, Roy Burrowes, Don Byas, George Caldwell, Paul Campbell, Tee Carson, Ace Carter, Henderson Chambers, Jimmy Chappell, Doc Cheatham, Buddy Childers, Buck Clayton, John Clayton,... up to 183 musicians. Comments: This is a CD reissue of the original live album Live at Small´s Paradise, but I think it lacks some track. Comments: Recorded live in 1962. Abdullah, John Abercrombie, Kathy Adair, Jim Aton, Arthur Blythe, George Bohanon, Jean-Paul Bourelly, Garnett Brown, Dennis Budimir, Jeremy Carlstedt, Thomas Chapin, Buddy Collette, Marc Copland, Larry Coryell, Curtis Counce, Nick Demopoulos, Cary DeNigris, Eric Dolphy, George Duvivier, Barry Finnerty, Alex Foster, Matt Garrison, Hal Gaylor, Nathan Gershman, Dexter Gordon,... up to 54 musicians. Comments: Recorded in two days in February and March 1965. Comments: Recorded in November and December 1961. Comments: This album was also reissued on CD under the new title The studio & live sessions, featuring the original album plus a complete live performance. 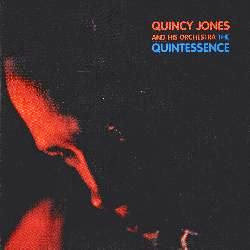 Comments: Laserdisc recorded live in 1983 with Quincy Jones and his band, plus great special guests such as Ray Charles, Patti Austin, James Ingram, Ernestine Anderson, Buddy Catlett, Major Pickford, Floyd Standifer and others. Comments: Recorded live in February 1960. Comments: Recorded live with guest horn players, including Brian´s mate Buddy Catlett, here playing sax and clarinet (instead of his usual bass). Comments: Recorded in December 1960. Strangely, this album was reissued credited to Freddie Hubbard under the new title Gettin´ it together. Comments: Recorded in February 1961. Comments: Recorded in June 1960. Comments: It contains performances by Bill Evans (with Paul Motian), Eddie ´Lockjaw´ Davis (with Buddy Catlett), Red Garland, Barry Harris, Thelonious Monk, Cannonball Adderley, Johnny Lytle and Bobby Timmons. 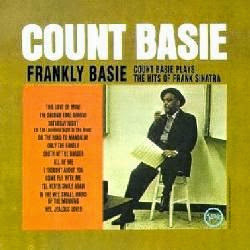 Comments: Compilation with tracks recorded by Ella Fitzgerald with Paul Smith and Count Basie combos in 1960 and 1963. Comments: Compilation with tracks recorded in 1957, 1959, 1960, 1961, 1962, 1963 and 1965. Comments: Recorded in February 1963.